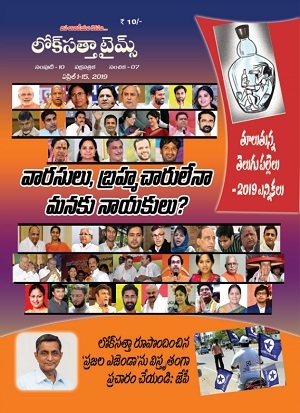 Lok Satta Party national President Dr. Jayaprakash Narayan will be taking part in round-table conferences on the Surajaya movement in four coastal Andhra districts on September 12 and 13. 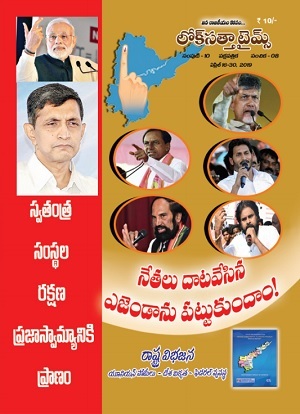 On September 12, he will take part in the conference at Masonic Kalyan Mantap in Vizianagaram in the morning and at Hotel Daspalla in Visakhapatnam in the evening. On September 13, he will take part in the conference at IMA Hall in Vijayawada in the morning and at K. & M. Hotel in Guntur in the evening.